My favorite App – YouVersion Bible: I posted this a while back, but I wanted to do a re-post on this because I really think this App is awesome! If you are interested in a handy way of reading a book full of Life lessons I STRONGLY recommend trying out the YouVersion Bible! This is a free app that you can install on your smart phone, iPad, Amazon Kindle, Laptop/Desktop. My wife introduced me to this app quite a while ago and it quickly became my favorite and it is (by far) the single App I use the most. 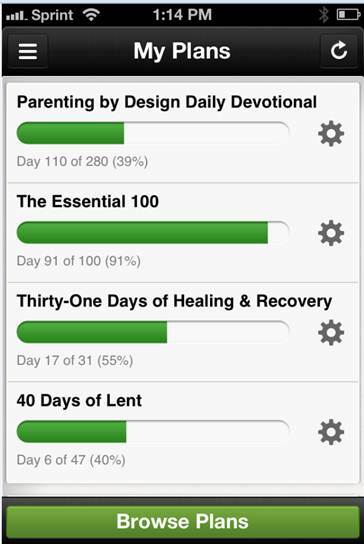 I enjoy following the daily reading “plans.” These plans vary from 3 days up to 366 days. A plan is essentially a guided tour through the scriptures (by very knowledgeable theologians and pastors). Examples of reading plans include Parenting by Design, The Christmas Story, The Easter Story, Relationships, Love and Marriage. My favorite part of a plan is the devotional writings (the picture is from my smart phone, listing some of the Plans I am reading). The quote from Billy Graham is taken from a devotional writing in a reading plan I am currently doing. The devotional writings tend to add important context and insight to various Bible passages. For me these writings provoke more in depth thinking about the passage at hand. I also love that you can easily switch between different Bible translations and sometimes find myself comparing and contrasting between them. For me reading the plans are like reading a good book that you simply can’t put down. Let me know if you try it out, or if you are using a different electronic Bible, or if you subscribe to the good old fashioned printed form. 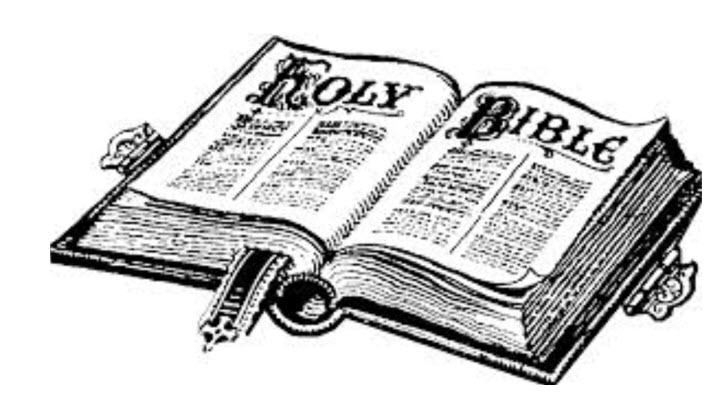 If you aren’t currently reading the Bible, why not check it out? Click this link to read more about the YouVersion Bible. Daily Prayer: Almighty God, I praise You for the authority of Your Word, which speaks to me of my redemption, life as it should be lived, peace and eternal life with You. Medical Update: I’m still at home recovering. And I’m feeling pretty good. I see the surgeon next Wednesday. And I’m hoping he will clear the way to return to work on Monday March 3. We shall see how it goes. 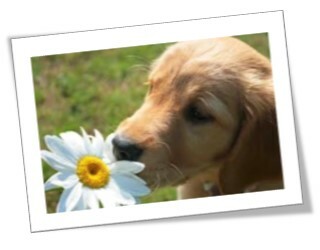 I will see my medical oncologist (Dr. Kraus) on Thursday, March 20. The big question that we will discuss then is if I will need to restart chemo or not. I’ll surely keep you all posted. THANK YOU! For the hundreds of prayers offered up on my behalf. I know it makes a huge difference. Recovery from these last two surgeries (with your prayers) have been nothing short of amazing! Pain was essentially absent and my body has seemed to rebound so quickly. These two trips under the knife were NOTHING like the previous surgeries I have had. And I truly believe that this is a result of your prayers. And so, I pray to our Lord above today… Thank you Father, for your grace and guidance. I know that you are always with us as we take each step along life’s paths. And I am so grateful to you for guiding us and keeping us from harm. All Glory and Honor to you almighty Father. Amen. Dr. Knol successfully whacks another mole! Thank you Dr. Knol and UMHS team, for being one of the best facilities in the country and for taking such good care of me. Thank you Jesus for Dr. Knol and for UMHS. Thank you family (especially Connie, Mary & Jim, George) for spending too many hours with me throughout this process. Thank you Cancer Survivor Network forum members, for being so supportive and informative throughout this most recent battle AND since the beginning of this war. And thank you for calling and checking up on me, for your countless prayers and support!!! This surgery, like the last, was amazingly near-painless. Having a half-Mercedes incision (pretty big cut across the abdomen) was a scary prospect, but the epidural once again negated the pain. The doctors and nurses made sure I understood that I was lucky; not all epidurals do such an amazing job. This past week was very similar to previous experiences. My wife Connie and I left our house around 9am. We arrived at UMHS around 10:30am. We met up with my sister Mary and her husband Jim on the way to checking in. They were supporting me as I was wheeled away on the gurney. The surgery team were reassuring as they transferred me to the operating table and administered the anesthesia. Connie, Mary, and Jim patiently waited as the four hour surgery was executed. And then they waited longer as I was revived back into consciousness. As soon as I could remember Connie was there with me, at my side. And reporting on the success of the surgery. A little while later (I had no concept of time at this point in the process) I was wheeled up into a hospital room. Mary, Jim, and Connie stayed with me until we were all assured that I was comfortable and ready to rest. Since I sleep through more than half of this day I really have to step back and appreciate their commitment in this process. And if that wasn’t enough Connie, Mary, and my brother George spent countless boring hours with me, throughout the week, as I slowly progressed. Thank you Connie, Mary & Jim, and George from the bottom of my heart. I love you and am forever indebted to you. I remember having an extremely dry mouth in the surgery-recovery room this time round. I somehow used my persuasive powers to connect with some ice chips. You can’t imagine how delicious these ice-chips tasted at that moment in time. I continued to negotiate with relatives, nurse-aids, and nurses. And successfully used the ice-chips to help ease the irritation of having an “NG” tube through my nose, throat, into my stomach. On Sunday morning (when it was time to take the NG tube out) the doctor held my ice-chip cup three feet over the garbage can and firmly stated “No More Ice Chips” as she dropped the cup into the trash. She went on to explain that the ice chips were stimulating my stomach and it was pre-maturely “waking up” ahead of the rest of my digestive system. And she clearly stated the consequences – the NG tube was staying in until my stomach calmed down to more expected levels of fluid production. Other than this one set-back my recovery went amazingly well and I was released from the hospital today! 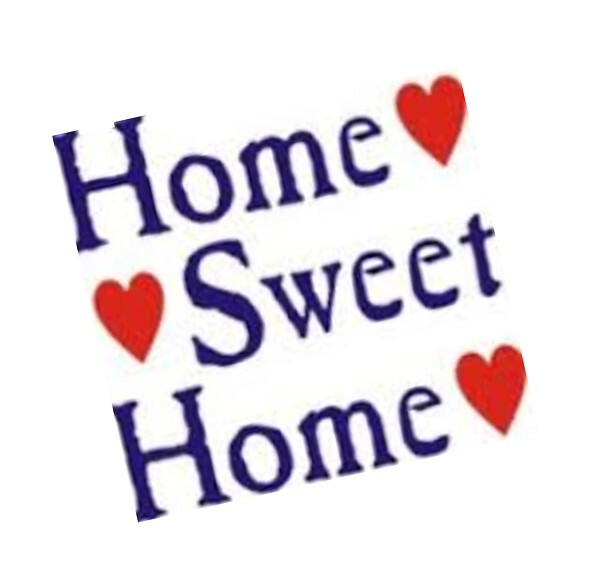 And I am home sweet home, in time for Valentines day tomorrow. I will see the surgeon at the end of February. My doctor appointment with Dr. Kraus (my oncologist) is scheduled in the latter part of March. I’ll keep you all posted as I learn more about next steps in this war. At this particular point in time we will all rest, knowing that the one and only tumor detected on scans was successfully removed with clear margins! Praise God! Thank you all for your continued prayers and support. And may God bless you on this joyous day! I didn’t sleep as long as I would have hoped for. Woke up around 3am and laid in bed with visions of surgery dancing in my head. I worked a long day yesterday trying to prepare for another absence from work. And on my drive home yesterday and again this morning my thoughts were taking me to some slippery slopes. As I was reflecting I couldn’t help but wonder how fast this surgery has come up. They say “time flies by when you are having fun.” Well I must be having a lot of fun because the time seems to be rolling by too quickly. When I was young, a year seemed sooo long. Now the years seem to go by in the blink of an eye. And I think that fighting cancer may actually increase this perceived acceleration of time — exponentially. I celebrated fifty years at the end of January and now I’m wondering how long I have left. Am I living the final chapters of my life? And on the day before another surgery I worry it could be the final paragraph of the last chapter. But then comes the morning light. The realization. None of us know when the end will come. And ultimately it’s not about me. It’s about Jesus and his plan. The Lord does have a plan for each of us. And while we may not know how the plan will unfold we can be sure of one thing. It is a perfect plan. In my career I’ve done a fair share of planning. And I have to admit that the execution rarely unfolded as envisioned. If I could be sure of one thing it was that the actual would NOT go according to plan. But I know that Jesus’ plan is perfect. More perfect than we could ever imagine it to be. I know that the Lord will guide me as I walk through this valley. I may not see the extents of our Lord’s master plan but one day, when I meet him face to face, I will surely marvel in the beauty and magnificence of it. For now I simply have to trust in the Lord and take life one day at a time. To focus on the here and now (as an angel pointed out to me not too long ago). To keep a good perspective. And to love and cherish each soul that I meet along the way. Isn’t that the point of life? To enjoy our time together now. Enjoy today. While we are here together. Cherish each other. So once again, I request your prayers for my family and me. As we go into another battle with this cancer. Please pray for Dr. Knol and his team, that our Lord may guide him in his work. And for my wife, that she may continue to find strength and peace throughout this journey. And for my children, that they may continue to grow in faith and love, knowing Jesus is here for them. And please be assured that I too will pray for you. May God bless you and keep you! And may his light shine down upon you and overflow your heart with love, life, and happiness.